This season I was once again a guest of Melanie Mills, Zena Shteysel, Angela Moos, Patti Ramsey Bortoli, Nadege Schoenfeld, Barbi Fonte and spray tanner Fiona Locke, whose seamless work with hair and wardrobe turned out yet another hopeful Emmy nomination and possible win for their season 12 efforts. The visit uncovered many of the stand-by needed workhorse color lines, M.A.C., Makeup Forever, Armani, Dior, Aucoin, YSL, Laura Mercier, Lancôme, L’Oreal, NYX, Ardell Lashes, OPI, Bed Head by Tigi and Julie Hewett – and revealed some new star players that are making the contestants gorgeous for the camera. New additions include Yaby palettes, new Hard Candy colors for lips, cheeks and eyes, Anastasia Beverly Hills full range of brow products, lip glosses and cheek duos, and Ja’maal Buster eyelashes. Mills is a brand ambassador for St. Tropez and a spokesperson for Anastasia Beverly Hills and shares with me that makeup for DWTS must have staying power for the long days on Monday and Tuesday. It all starts with St. Tropez self-tanning, the first step for all DWTS contestants. For the last five years, Mills put her distinctive glamour makeup stamp on the show and revolutionized body makeup, taking it to new heights with her very own Gleam Body Radiance, now available in four shades. “I couldn’t find deeper shades of body makeup with a velvet shimmer that wouldn’t go greasy or ashy on the skin, and it was a problem. I wanted to perfect the St. Tropez tan and have a luminous look and finish to the skin, not a hard shine, but that ‘lit from within’ look that defines the look of bare skin on this show,” says Mills. Her Gleam Body Radiance is due in stores in May 2011. The product has already been written up in US Weekly and is an industry hit with many professional makeupartists calling up Melanie for their celebrity clients. “For several years I have stars coming to my house to get some Gleam for red carpet events and award shows, and it was time to make it available for everyone,” says Mills. Melanie is taking pre-orders at www.gleambymelaniemills.com. Even makeup artist Zena Shteysel has used her experience on the show to create a valuable tool that the whole makeup trailer uses. Zena invented the clever Z Palette. The clear top allows a busy artist to color coordinate eyes, cheeks and lips to make finding that certain color all the easier. Zena’s Z Palettes are hot items and can be found at www.zpalette.com. Other convenient and striking color collections that are making waves in the trailer are dot candy styled Yaby palettes and the stunning NYX palettes of lips and eyes, all in one collections of color that make travel or streamlining your makeup a snap. Another must-have item for all the artists is the Beauty Blender, a clever pink water drop shaped reusable sponge that you use after you run it under warm/hot water, and then squeeze. It makes foundation look flawless. Mills shared that Anastasia Brow Products were the go-to items for beautiful eyebrows. Pencils, Professional brow color kits, the Brow Wiz and Tinted Brow Gel make everyone’s job easier. Also used were Anastasia Highlighting Creme Cheek duos and Eye Shadows, highly pigmented colors that improve the texture of the delicate eyelid skin. The staple line of lashes are always Ardell Lashes. The strips (114, 117, 118, 40, 316) and individuals can be layered on big eyes like Wendy Williams and pro dancer Lacey Schwimmer. Newcomer Ja’Maal Buster eyelashes are hot on the show this season too. Spoiled Brat is a popular one. Dark Duo adhesive is the go-to glue. Luxe foundations rule on DWTS, and you will find Chanel VitaLumiere, Giorgio Armani’s crème foundation in shade #8 and #9 with fluid sheer#3 used frequently, Christian Dior’s foundations, Laura Mercier foundation powders, Creme de la Mer’s creme foundations, Kevyn Aucoin’s foundations and concealers, MAC powders and glitter, Makeup Forever glitter pigments, Visiora foundations and Makeup Forever’s High Definition finishing powder. Pro makeup line RCMA (Research Council of Makeup Artists) was used extensively with every artist having their palette of crème pigment rich foundation bases. Pink Goes Barefoot In Pastel-Colored Beauty! Here’s How You Can, Too! Pink painted her toes a cheerful pastel blue! Check out our gallery for more pastel-colored beauty buys! Pink, 31, was walking around barefoot in Malibu’s market on April 17 — take some time out this weekend to relax, unwind and paint your toes a pretty pastel hue! If you dare to go bare, you need to take special precautions on your grooming! With new innovations in skincare and personal grooming, there’s a wider variety ofpastel colors available than ever before. You can shower with pretty floral scents and paint your nails a bubble-gum pink! Check out the gallery of our favorite pastel-colored beauty! Sprinkle your life this weekend with these pastel-colored beauties! What’s hot pink… velvety to the touch… constantly in the hands of celebrity makeup artists… AND looks great in an Easter basket? Voilà! It’s beautyblender®, the innovative new way to apply makeup, and it’s bouncing its way from backstage at New York Fashion Week to the vanities of chic women across the globe. Developed by Hollywood makeup artist Rea Ann Silva, beautyblender® is an affordable, easy-to-use option for flawless foundation, blush or concealer application. 1. You can “bounce” (stipple) the round end over wider areas of the face to apply foundation or blush seamlessly. 2. Acne-sufferers, are you driving yourselves mad trying to cover those blemishes? Stop stressing and use beautyblender®’s pointed end in a press ‘n twist motion to evenly distribute makeup over the pesky red bumps. 3. You can press and roll the pointed end along the under eye area for an immaculate concealer application. I’ve been doing loads of really cool editorial shoots lately, and have been using some really fun makeup and tools on them, and got to thinking you might find the things I obsess about interesting too. As such I’m going to do some posts about some of them. 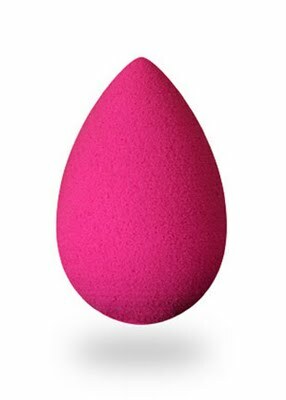 First up, the ultimate blending tool, the Beauty Blender. This one has actually been around for a while now, but is so fabulous it needs discussing! Designed by celebrity makeup artist Ree Ann Silva as a means to create a completey seemless, flawless finish, this has become my favorite way to not only apply foundation but also cream blush. Beauty Blenders are latex free, non allergenic and odor free. The elliptical shape fits easily in your hand, and enables you to bounce (or stipple) foundation onto the skin, creating a flawless finish with no streaking or wiping. The narrow end gets into hard to reach places, while the wider end bounces and rolls product across the broader planes of the face. If you are a cream blush fanatic (like me) you can bounce the product over the cheek bone, and get the most beautiful finish to the skin. Beauty Blender presses product into the skin, so you don’t have that cakey layer of makeup sitting on the surface of the skin. Everything looks seemless and beautiful. If you run with the eco-friendly crowd you’ll love these too, as you don’t throw them away. They come with a cleanser, and you just wash them in between uses. This makeup applicator sponge was created by Hollywood makeup artist, Rea Ann Silva. It’s specifically made to give you a top-notch makeup application without needing a professional artist. The Beautyblender is a unique-shaped sponge that allows you to access hard-to-reach spots for a completely flawless look. The Blendercleanser keeps your sponge clean in between applications. Its earth-friendly formula and light lavender scent will make you want to clean your sponge religiously. We’re giving away five travel sized bottles of the Blendercleanser and a Beautyblender sponge housed in a pretty organza bag so you can take your “blender” goodies everywhere! 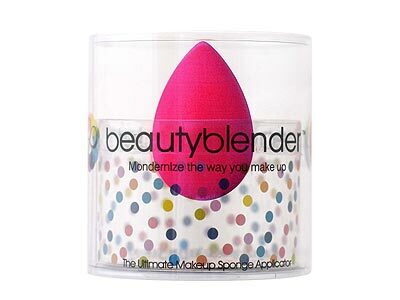 Learn more about Beautyblender Travel Kit. Must-Have Beauty Products From ‘Dancing With The Stars’! The head makeup artist for Dancing With the Stars tells us her favorite products for showtime! If you don’t have the Beauty Blender makeup sponge yet, go ahead and order one now. Just trust me on this. I would never steer you wrong. I’ll wait. I have used cosmetic sponges before, but this is a whole ‘notha level. This cute, little pink thing is made out of super-spongy material that somehow manages to give me a flawless foundation application every single time. No streaks and no areas with too much makeup or too little. You can use it with liquid or pancake foundation (I use either, depending on my mood). The wide part can be used to apply foundation onto your cheeks, forehead and chin, and the tapered end helps you smooth the foundation into smaller areas (like around your nose, brow and eyes). You can also wet it slightly to get a lighter coverage. I use the Beauty Blender cleanser to clean it often (I use the cleanser for my makeup brushes too). I’ve had the Beauty Blender sponge for over a year and it hasn’t lost its shape or had any nicks or dings. I bring it with me everywhere, and even tossed into a makeup bag, it holds up well. One of my biggest pet peeves with makeup, is making sure that everything is blended seamlessly. From my tinted moisturizer to blush, everything works better together when there are no apparent distinctions. Makeup artists, magazines, and blogs have been raving out this little secret—and I, of course, had to share it with you! 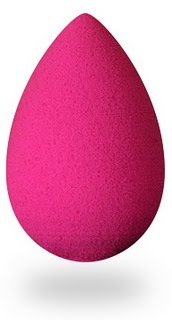 This little pink sponge is the ultimate makeup tool. The Beautyblender was designed by makeup artist Rea Ann Silva, who has beautified Hollywood starlets like Macy Gray, Carmen Electra, and Erin Andrews. She developed the product while on a shoot and decided to take it to the mass market, so the rest of us could enjoy having perfect skin, too. The pointed edge is perfect for right around the eyes and I’ve been using the sponge not just for my concealer, but cream or liquid blushes, too. I asked Rea Ann to share some of her tips on how to use this handy tool. – Bounce beautyblender against your face when applying make up. This blends make up without creating changes in the texture or tone of your skin. – Use the round base for foundation and blush on the larger areas of your face such as your forehead, cheeks and chin. – Use it damp when applying wet/dry make up. When the beautyblender is wet, it is normal for it to expand to nearly twice its original size. Wash after use and place it in the insert pedestal to dry. – If you have problem skin the beautyblender works to cover blemishes. Use the pointed end and the stipple and twist technique to work make up into depressed areas of the face. The stippling and twisting action feathers out the makeup’s edges, leaving a perfect finish. – The smaller tip end is not only the best applicator for concealer under the eyes, around the nose, but also for achieving dramatic results with your eyeshadow!